With 2019 in full swing, a lot of people are working away at resolutions and goals. 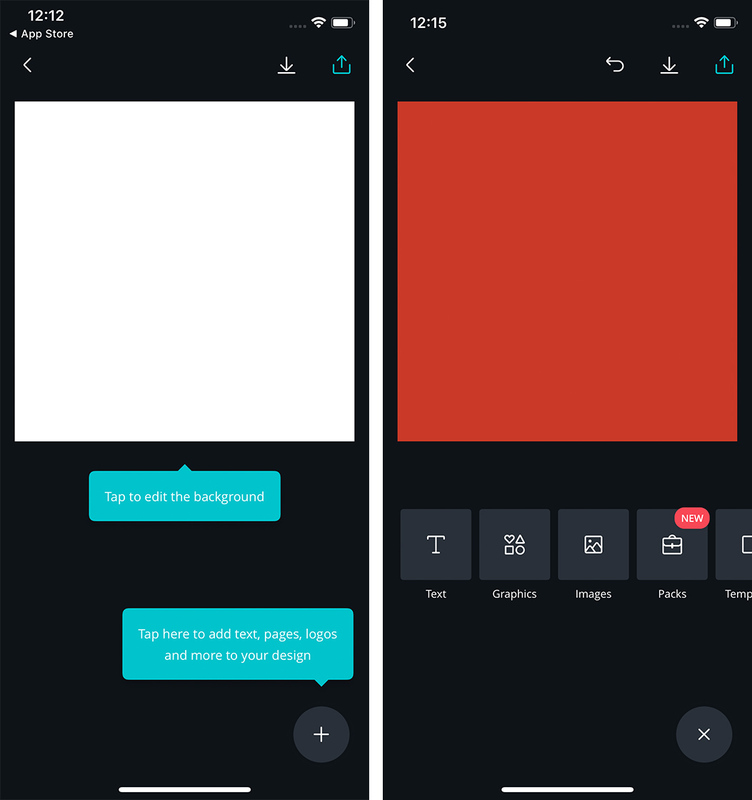 For those among us wanting to be more productive, or for those just like designing cool stuff, check out Canva, a free app that makes it easy to create designs for just about everything. 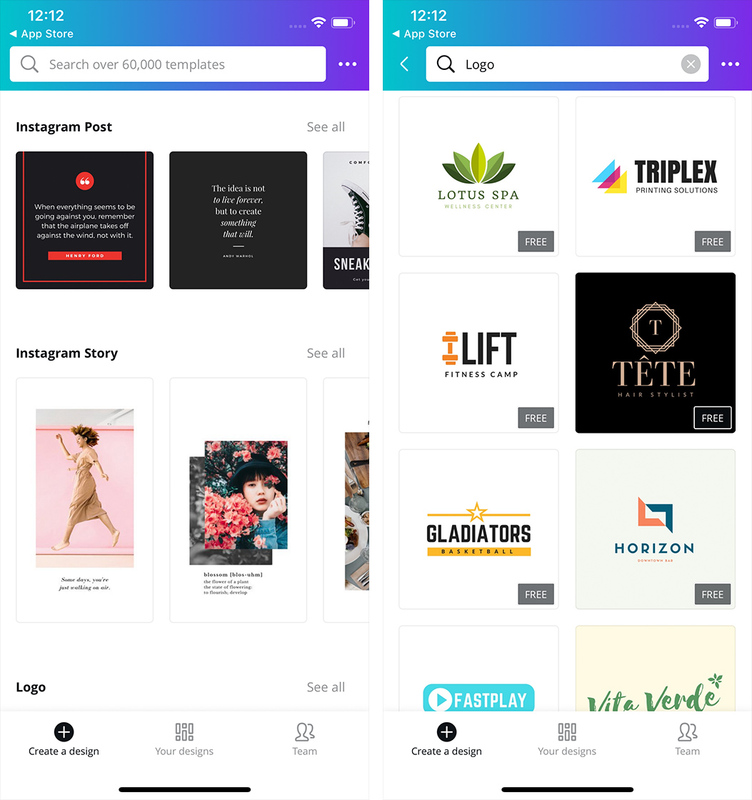 From students to volunteers to professionals, Canva offers plenty of great tools to create everything from logos to Instagram stories and more. The applications are nigh endless, too. I’ve seen people use Canva to design headers for Facebook pages, cool posts for their Instagram accounts and more. The best part about Canva is its simplicity. It only took me a few minutes to throw together an example logo with it. I chose to build my own from scratch, but those with less design prowess can leverage several pre-made options, and customize text and graphics to fit their needs. When you build your logo, you start with a blank square canvas. You can tap it to edit the background or tap the ‘plus’ button to add a new layer. This layer can be text, graphics or images. While there are plenty of free options to use, it was sometimes hard to find them amidst all the paid elements. 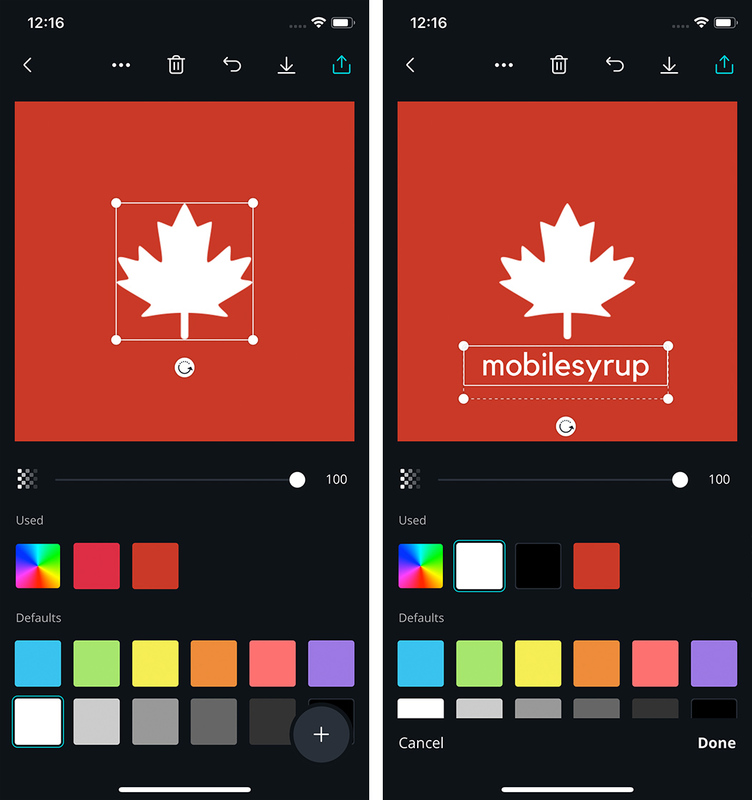 Users can also upload their own logos to use, add another page to the logo or copy a pre-made template. There’s also a new ‘packs’ feature full of cartoony, themed stickers, such as travel or student, that you can purchase. You can add these stickers to your design as well. When you add elements to your logo, you can easily adjust colours, size and position by dragging the item around. Along the top are several buttons for manipulating the layer as well. Users can delete a layer, undo their last action, copy a layer or move it up and down relative to other layers. When you’re finished and happy with the design you’ve made, you can download it to your photos on the device, or share it. 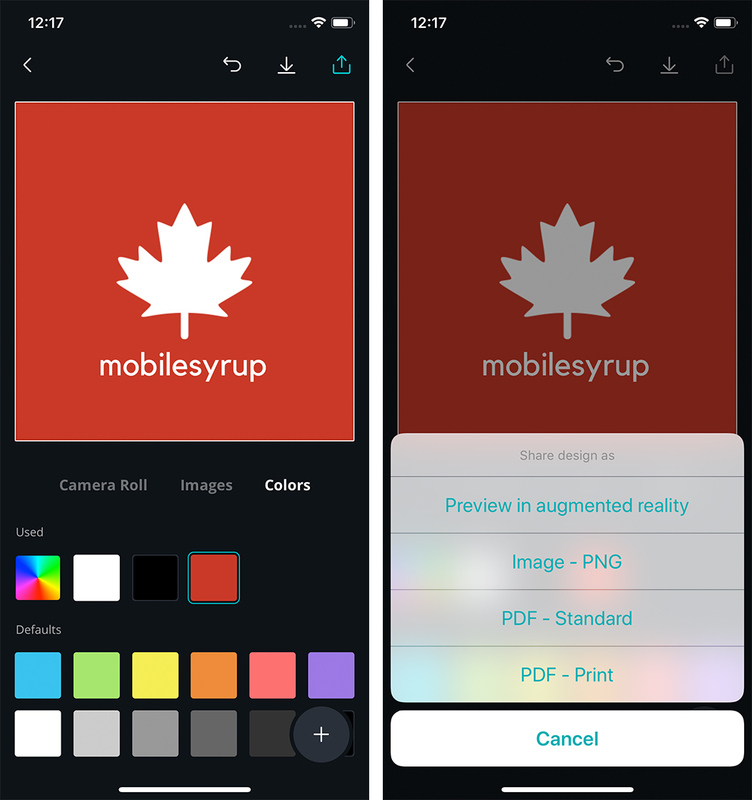 Share options include exporting the design as a PNG image or PDF, printing it as a PDF or previewing it in augmented reality. Additionally, Canva offers plenty of collaboration features if you have a team of people you work with. You can add members to your team, who can then edit and share designs with you. Overall, Canva is a great option for creating a variety of things, including posters, images for social media, logos and more. It’s not hard to use, and your results usually look pretty good. 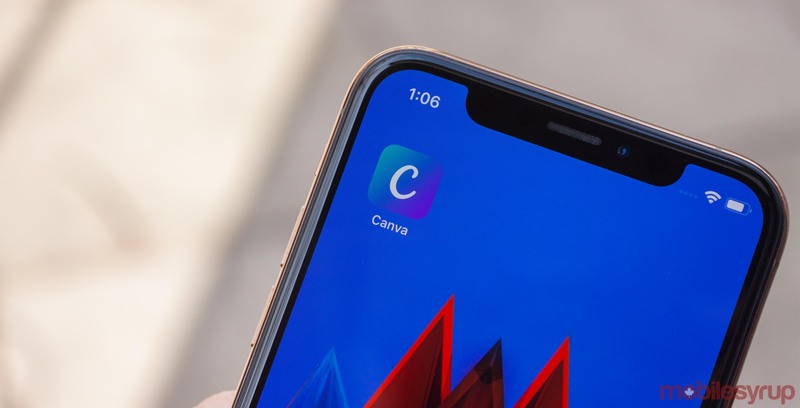 You can get Canva for free on iOS, Android and through the web. It’s ad-free, but several graphics, text options and other items are only available if you buy them. Canva also offers monthly plans for those looking to use it for their business or organization. These plans offer users extra storage, more templates and several other beneficial tools.